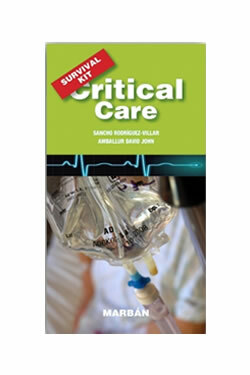 Critical Care 2018 and its specially extracted version, -Survival Critical Care 2018- (MARBÁN), is a complete rapid readable synopsis of Critical Care Medicine written by noted specialists (+400) around the world and based on current evidence based guidelines. The reference for Exam Preparation (EDIC, FFICM, CICM, ...), Clinical mastery of Critical Care Medicine, an essential tool to evaluate electronic information. A focused concise presentation on specific topics which together forms a solid fundamental base of knowledge of Critical Care. A compulsory resource of Critical Care Medicine, concise, highlighted, encompassing the theoretical basis as well as the practical management involved in caring for the critically ill patient in an efficient time and format.